You can now enter into a whole new business opportunity by venturing into the China market. 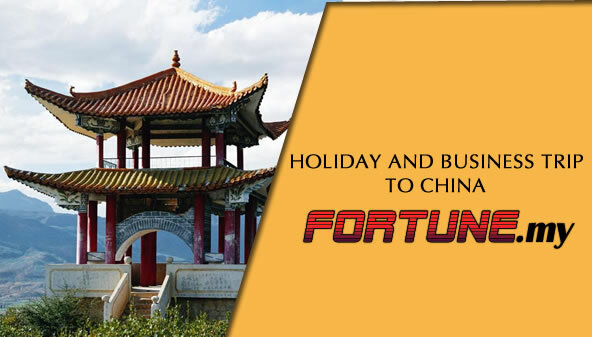 Get to know what you can expect and how you can grow your business beyond your wildest expectations by joining our holiday and business trip to China. What you will experience will be a truly rewarding holiday while learning more about what you can do with your business by setting up new partnerships with traders and merchants from the world’s most populated country. You will be visiting Guangzhou. This is the third largest city in China after Beijing and Shanghai which are the administrative and economical powerhouses of the country. If you haven’t already known, Guangzhou is the top trading city in the world and is home to the largest pool of wholesalers. It is in Guangzhou that you will find almost anything which is sold in retail markets and to top it all, they are sold in wholesale and can be very cheap. What you get here includes spare parts, home equipment and appliances, clothing and apparel, shoes and accessories, mobile gadgets and electrical goods and the list goes on. If you look close enough, you can find anything that can be traded here in Guangzhou. In this trip, you are cordially invited to set up new trade partnerships with the local producers. Buy in bulk and arrange for delivery to your business back in Malaysia. It can all be done here. If you speak Cantonese, it would be a bonus because most of the locals here speak this language. The whole idea behind trading in the China market is the endless possibilities and limitless opportunities. We have the expertise to help bridge your business with the potential manufacturers here because we have been in this market for many years. China is the most populous country in the world. It has an extremely large pool of human capital and the relevant resources to produce almost anything at a lower cost as compared to any other countries in the world. Even with this, the quality of goods is still very good. Because of these reasons, trading with China manufacturers provide your business with a great platform to grow and expand without having to increase your costs. What we aim to do is to bring entrepreneurs like you to Guangzhou and be exposed to the world of suppliers and manufacturers. In doing so, you will no longer be at the mercy of middle-man or intermediaries. When you meet the suppliers directly, you can deal directly which means there is no need for commission or additional costs. All negotiations are carried out on the spot without intervention. When you are in this market, you can check out the transaction mechanism and how the business is run for yourself. You will learn how to pick and choose the best products for your business and look for those that are ready for your market in Malaysia. In this context, you must be aware that there are certain types of goods like adult clothing, children apparel, bags and leather goods, gadgets and electrical items are among the best selling and highly demanded in the Malaysian market. When you are in direct negotiation, you get the real look and feel of your products before buying. This trip will prepare you for future transaction. Once you have returned to Malaysia, you can always arrange your own trips in the future when you want to purchase more. Having done this once, you will know what to look out for and can be independent. Besides that, we help you to arrange for shipping and delivery of your goods back to Malaysia.